Based on the 2001 novel by Yann Martel, Life of Pi is the metaphysical and spiritual journey of a character who must question their physical endurance and willingness to sustain their faith in God. This character is named Pi Patel and we first see him in present day Canada as a man (played by Irrfan Khan) who is preparing to tell an amazing story to a writer (Rafe Spall). Pi's story begins at a young age when he is a schoolboy in India. His parents are strict but intelligent and run a zoo with a huge array of animals. The film traces Pi's life to when he is a young man (Suraj Sharma), who is reluctant to join his parents once they sell the zoo and move overseas. Once onboard a Japanese ship transporting the zoo animals to be sold, a huge storm floods the vessel and Pi is separated from his family. He finds himself in a lifeboat with a zebra and somehow survives the storm. A fantasy adventure of imagination begins, where several other animals emerge from under the covers of the lifeboat, including a tiger. 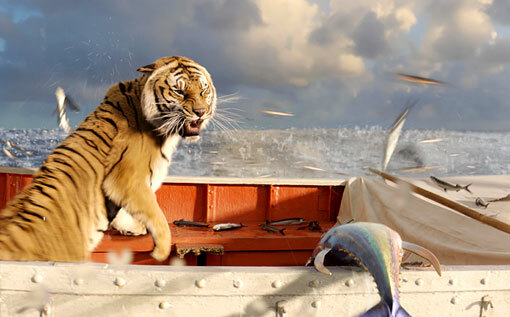 Fearful of the tiger, Pi resorts to building himself a mini raft attached to the boat. He must use a survival guide and other skills to control the tiger and retake the lifeboat. Director Ang Lee has never made the same film twice. His constant versatility and creative mind for unique visual spaces defines his work. His films including Hulk, Crouching Tiger, Hidden Dragon and Brokeback Mountain each adopted a unique filmic style appropriate to the material. 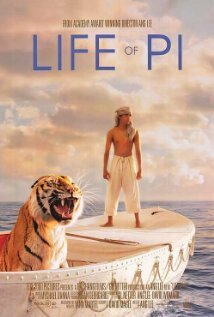 Only someone with such diverse and sophisticated formal knowledge like Lee could have made Life of Pi work as well as it does. Once deemed unfilmable, the film's visual sophistication bridges the gap between an art house project and mainstream blockbuster. Its stunning visual qualities do not stand isolated but provide cinematic representations of complex philosophical questions surrounding myths, religion and faith. In lesser hands this might have been a more bloated, less intelligent film. Before Lee, the project was passed between several directors including Jean-Pierre Jeunet, Alfonso Cuaron and M. Night Shyamalan, all of whom are considered visual stylists. Lee's personal strength as a filmmaker is that he rarely allows images to be devoid of meaning. His approach to this complex material is wholly cinematic: he challenges the audience to draw meaning from the properties of the screen and the images, realising a film that is in equal parts dazzling, thoughtful and ambiguous. The only stumbling points are the early scenes where Lee deters from his cinematic approach. The jumble of anecdotes, including Pi being named after a swimming pool, are confused and estranged from the rest of the film. But the screenplay by David Magee finds its footing once it adopts a linear structure to tell Pi's life story. Expositional dialogue is skilfully masked as provocative philosophical statements, which are then attached to the film's Biblical imagery. The film's midsection, spent almost exclusively on the raft with the animals, visualises Pi's desolated world and draws parallels to stories like Noah's Ark. The animals in these scenes are a powerful example of Lee's emphasis on combing theme and image. Early in the film Pi shows great interest in the tiger. But his father says to him: "When you look into its eyes, you see only your own emotions reflected back at you". This statement is problematised by the displacement of the animals on the raft. Are the animals real or part of Pi's imagination? The animals, I think, reflect Pi's shifting emotional states. When Pi is afraid, the tiger shows more aggression. When he learns to tame the animal, it shows more control. These images are also allegories for God's own existence. If one fears God, like Pi fears the dominance of the tiger, doesn't that project our own vision of God in our minds? The basis of the film is therefore how much faith we are willing to place into something that might only be a state of mind. 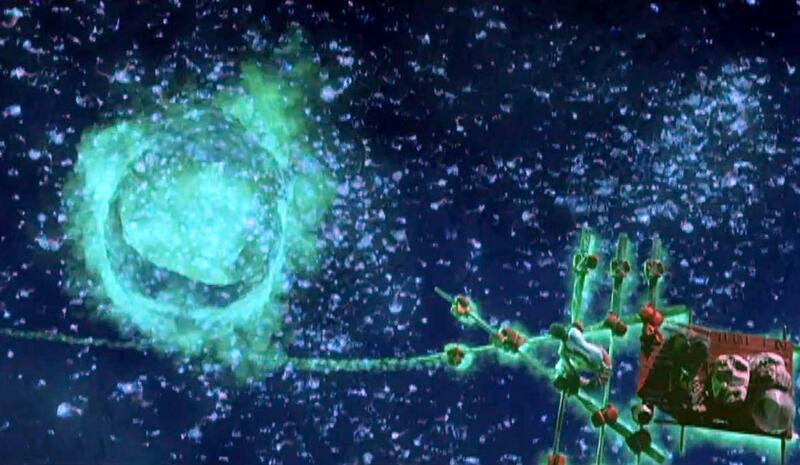 Using a number of aesthetic devices, the film makes a dazzling case for the power of imagination and visual stylisation over conventional naturalism. Colour desaturation is used purposely, with the white tones of Pi's clothes stressing his desire for a cleansing experience on the boat but perhaps also to show impending death given the unlikelihood of his survival. The tiger's half of the boat is coloured red. It matches the colour of tiger to instigate a place of fear that Pi must overcome. Lee also allows his camera to be unconstricted by reality. The fluidity and tilting movements of the camera are used to stunning effect in a storm sequence that takes on Biblical and apocalyptic proportions. There are gentler moments of great power too, where Lee opts to take us deep under the ocean, delivering some of the most striking images in cinema. Abstract and impressionistic images, like a sea of blue neon lights under the ocean, are enhanced spectacularly by bursts of colour and unintrusive 3D effects. To define precisely what these scenes mean, and many others including a bizarre episode involve thousands of fish and an island of meerkats, would be futile. The film isn't concerned with facts, logic or realism. It stresses how stories and myths inspire our survival as a species. Posing a belated question about what type of stories we would rather hear, inspiring fantasy or scientific rationale like the survival of the fittest, is clever because the answer is predetermined by the amazing things we've already seen. There's a small end moment where the film undermines its sophisticated ambiguity by explaining a twist too neatly but minor quibbles never deter from the power of Lee's craftsmanship. 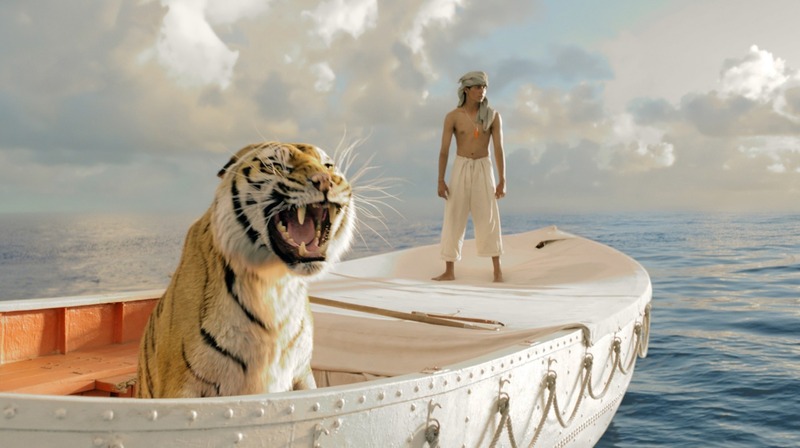 Life of Pi has the spectacle of a blockbuster but compliments its flair with heart and intelligence - compelling reasons see this astonishing film on the big screen.